When 48-year-old Nguyen Van Nhat fell unconscious from methanol poisoning and was taken to Quảng Trị General Hospital the medical staff administered three cans of beer. Dr. Le Van Lam, the lead doctor at the Quảng Trị General Hospital Intensive Care Unit oversaw the unusual prescription as a protocol for the treatment of methanol poisoning. The alcohol found in legal alcoholic beverages is ethanol alcohol, it is considered safe for human consumption in measured doses. The body has a way to process ethanol alcohol and eventually break it down into water and carbon dioxide which is eliminated from the body. Methanol which is found in most fake alcohol as well as industrial cleaners, anti-freeze and other chemicals is deadly. It can lead to blindness, organ failure and death when consumed in large quantities. The body treats methanol in a different way than ethanol owing to a slightly different chemical structure. Although the body uses the same enzyme to begin the process of breaking down both ethanol and methanol, it treats them differently. The body turns methanol into formaldehyde which is then broken down into formic acid. These two chemicals that the body synthesizes from methanol are the chemicals that cause methanol poisoning. Dr. Le Van Lam was aware that the body prioritizes the breakdown of alcohol by acting on the ethanol first. By administering ethanol alcohol in the form of beer, Dr. Le Van Lam halted the conversion of the methanol into formaldehyde and formic acid, thus buying the patient enough time to undergo dialysis to eliminate the toxic methanol from the blood. Eventually the equivalent of 15 cans of beer were administered to Nguyen Van Nhat due to the high level of methanol in his body. Doctors, through lab tests estimated that the level of methanol present in the patient was 1,000 times over any kind of safe level for the toxic alcohol. Mr. Nguyen Van Nhat was lucky that he was brought to the Quảng Trị General Hospital and treated by Dr. Le Van Lam. Most doctors and emergency rooms overlook the symptoms of methanol poisoning, when they are recognized proper treatment protocol is often not in place. In Viet Nam as well as throughout Southeast Asia fake alcohol made using methanol is becoming more prevalent along with the incidences of methanol poisoning. Even though more cases of methanol poisoning victims are seen at hospitals, emergency room staff and doctors are not schooled in the proper procedures to treat this time sensitive affliction. Fomepizole is recognized as a treatment for methanol poisoning as described in The New England Journal of Medicine in an article published on February 8, 2001 credited to Brent, M.D., Ph.D., Kenneth McMartin, Ph.D., Scott Phillips, M.D., Cynthia Aaron, M.D., et al., for the Methylpyrazole for Toxic Alcohols Study Group. Most hospital do not stock Fomepizole, therefore owing to the time sensitivity of immediate treatment for methanol poisoning it is of little use. By administering the 15 cans of beer which contained enough ethanol to keep the liver busy breaking it down, he was able to administer intravenous fluids and perform dialysis and rid the patient’ body of the deadly methanol. In this case the patient, Nguyen Van Nhat, was very lucky that he was treated by a knowledgeable doctor. All too often methanol poisoning leads to long term health damages, blindness, organ failure and death. This case points out the simple steps that need to be taken at hospitals around the world to recognize, diagnose and treat methanol poisoning. In order to combat the rise in methanol poisoning cases around the world hospitals need to put in place specific training and protocols to save lives. It is imperative that the Medical Community redouble their efforts to train all staff in the necessary steps needed to recognize and treat expeditiously. Editor’s Note: In September of 2018, a study abroad student Ryan Turney from North Carolina was killed by methanol poisoning in Viet Nam. Unlike Nguyen Van Nhat, the clinic and hospital that Ryan was brought to in Viet Nam did not have medical professionals that recognized and properly diagnosed his condition. Ryan was improperly treated and died as a result. In the coming months SafeProof.org will be working in conjunction with the family of Ryan Turney to form an Educational Outreach Program In Memory of Ryan Turney to educate both consumers and medical personnel to the rampant increase in methanol poisoning cases around the world. Study Abroad SafeProof Students Initiative. Ryan Turney was an information addict. He read the news constantly, yet he was never aware that fake alcohol was a problem and that people were dying from ingesting methanol alcohol. 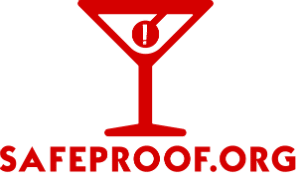 In conjunction with a detailed multi part story about the life of Ryan Turnery and its tragic ending, SafeProof.org will begin laying the foundation for a living memorial that will educate students around the world of the dangers that lay in the bottles of counterfeit alcohol producers.